It was over a year ago, when my brother bought his first tablet. He handed it to me. I checked it out for a few minutes and then came to a conclusion. While the tablet was definitely neat, I would not be purchasing one. I am a heavy duty laptop user and would feel lost without my keyboard. Of course there was the option of purchasing a screen stand and portable keyboard, but I appreciate simplicity, especially when on-the-go. 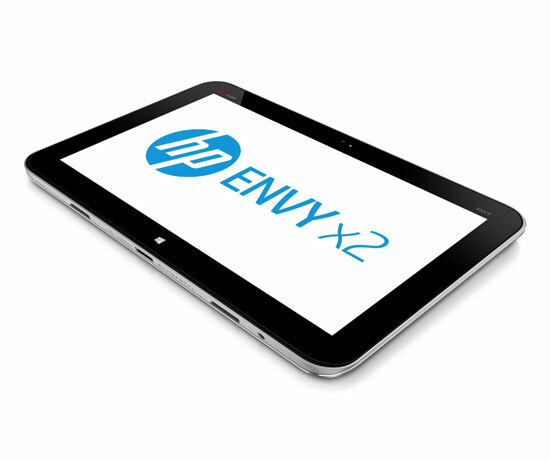 The HP Envy is a delightful combination of both laptop and tablet. Before receiving my Envy, I hadn’t read any reviews and had only slight knowledge of laptop/ tablet hybrids. At first glance, I thought that the Envy was simply a rather small aluminum laptop. It was a pleasant discovery that with the flick of a switch I could turn my “laptop” into a tablet. When I first held the HP envy, I was shocked by how lightweight it was. Surely this flimsy device (3.1 lbs) couldn’t have any real technological value, I thought. I was definitely wrong. I have had my Envy for a few months now and can tell you that it is surprisingly sturdy, worth it’s price (retails around $599.99), and lots of fun to use. But what about functionality? 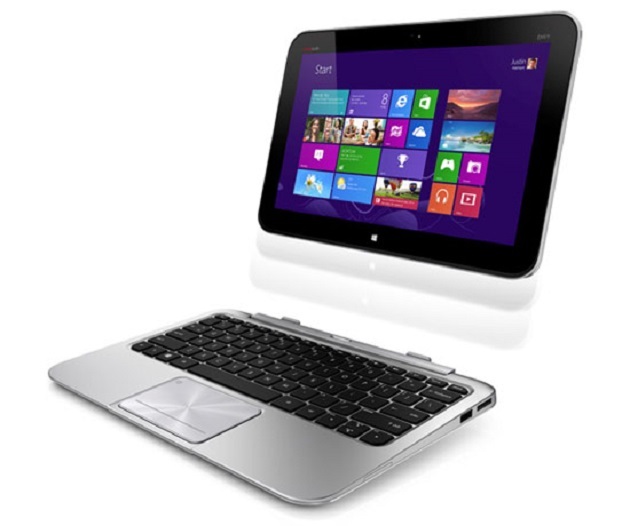 The Envy uses the Windows 8 operating system, which is touchscreen-optimized, a major plus. Amazingly, the Envy boots in about 12 seconds! I was a little disappointed to find that that the Envy 2 comes with only 2 GB of Ram, a 1.8 GHz Intel Chip, and a 64GB SSD, which is a little lacking when compared to a traditional laptop. However, I have found that I can perform needed tasks on my Envy x2 just as well as I could on my former laptop. I am able to perform office tasks, browse the internet, download, and watch video at more-than-adequate speeds. The HP Envy comes with Beat Audio preinstalled, which would be more appreciable with a good set of headphones. 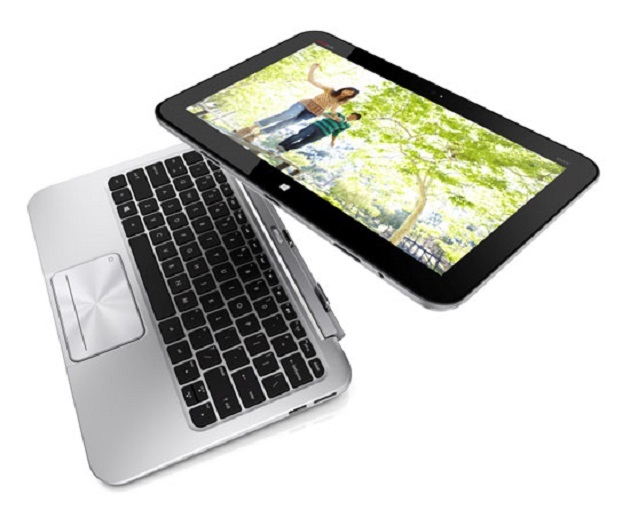 The HP Envy has front (1080P) and rear-facing (8MP) cameras. The 11.6 inch tablet screen may seem small if you (like myself) are transitioning from a laptop, but in the tablet world this screen is definitely sizable. With a resolution of 1366 by 786, the screen is great when using the Envy as a notebook. The tablet and the keyboard attachment contain separate batteries, and the Envy has been said to have as much as 10-15 hours of battery life. I love the fact that I can take my Envy on long road trips and not have to worry about it going dead! The Envy has two USB 2.0 ports, and an HDMI port as well. The keyboard took some getting used too, but has become comfortable over time. A plus of using the keyboard attachment is that it contains a full SD slot. This feature isn’t found in most other competitors’ products in the Envy’s price range! The tablet attachment includes a MicroSD slot. To begin with, I was constantly accidentally hovering over the touchpad and causing the Envy to take unwanted actions. The extreme sensitivity of the touchpad does take some getting used to. However, this sensitivity makes performing Windows 8 gestures, such as transitioning between programs, very easy. I love my Envy so much I haven’t shared it with anyone, but I’ve recently started letting my son play a few games I downloaded from the Windows Store. This laptop/tablet hybrid is very kid-friendly, and he learned to access and play his games through the tiled start screen in about 2 days! He also tries to hijack the Envy after I let him help me making a craft: Craft Like A Pirate. He loves the camera function and is always trying to record the precious moments of his life and his friends. You can find out more about laptops and tablets that use Windows 8 by following #Windowschampions on Twitter, and every Tues they have a Tech Tuesday #WinChat on Twitter. Follow @KristinaLibby and the @WindowsBlog every Tuesday from 12-1PM PST. These look so neat. I have an iPad and I was looking at other tablets and I just feel like this one would be amazing to have as well!! I love my gadgets!